Just Do It is an example of a brand campaign that tapped deeply into the authentic character of Nike’s brand values and brand purpose. But, few people know about the internal conversations that led to the ad brief that went to Nike’s agency Wieden+Kennedy (W+K) to create the campaign. Until now. I was there, right in the middle of it. Today on Branding Strategy Insider I’ll share how it came to be. Let me begin with some context. A brand’s symbolic meaning originates with its underlying purpose, and is expressed as a field vibration that radiates from the very core of a company. If a brand is to become iconic, to become a world-class energy that customers deeply identify with, then it must evoke transcendent qualities of human soulfulness. And to do that it has to express deep insight into its unique purpose in the world. Such a deep brand purpose can be described as the intersection of three circles of influence. The first circle relates to understanding an underlying social tension that desperately requires resolving. The second circle relates to a core brand truth that expresses reasons for a brand’s very existence. And the third circle connects a specific unmet consumer need in a way that the brand can legitimately address. These three circles of influence were the subjects of discussion between Scott Bedbury and myself in the winter of 1987. Scott had been newly hired as Nike’s Director of Advertising and I was Nike’s Director of Marketing Insights & Planning. Nike at the time was struggling with the first sales contraction in its history and had just laid off 20% of its work force. Nike’s agency W+K had just delivered a new batch of ads that had fallen flat with senior management and the sales force. I was asked by Tom Clarke, Nike’s VP of Marketing to thoroughly brief Scott on the state of the brand, its brand purpose and brand values. Here are the topics that I covered with Scott in the state of the brand briefing. Obesity and procrastination was a problem in American society for a majority of the population. An economic recession had resulted in many schools cutting back on sports programs out of budget necessity. The Nike brand was only speaking to a narrow range of male athletes in competitive sports arenas. And the Nike brand was under siege by the arrival of Reebok who had captured the interests of fitness oriented women with its invention of a new category: aerobic shoes. Nike needed to widen the access point in its brand communication model to become relevant to wider circles of people including women and all baby boomer fitness enthusiasts. The actual role that fitness plays in peoples lives, the actual experience of really working out, doing aerobics, going on a bike ride, etc. has the effect of lifting peoples moods & spirit. But none of this was captured in the way that Nike was communicating up to that point. I emphasized with Scott that daily participation in sports and fitness gives people something very profound, which is an experience and feeling of joy, a runners high, a lightness of being. This inner glow of the sports experience is the secret center to the sport categories ‘experiential appeal’. These are the positive human emotions that over 150 million people in the US were regularly experiencing. This inner joy experience was real and all that Nike had to do in its communications was figure out a way to tap into this spirit and become a protagonist for all that was good and true about it. This was emphasized. Nike at this point in time had an opportunity to become the protagonist of all that was great and uplifting about the experience of sports and fitness. Nike’s past communications model only emphasized elite athletes in hyper competitive sports. This is what we called the top of the pyramid communications model. Nike had viewed the sports universe as a pyramid of influence with these elite athletes at the pinnacle. Up to this point in time our agency was focused on producing ads only from the perspective of the top of the pyramid. But, professional and college athletes as a group only contained about one million people, whereas the fitness universe was at least 150X larger. 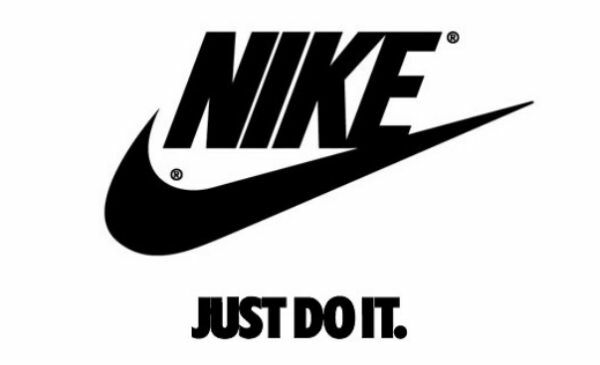 This internal awareness of the state of the brand, core brand values and business purpose is the backstory that led to the creation of the “Just Do It” campaign. When a company locates and codifies its brand purpose into a positioning platform and brand campaign as Nike has done with Just Do It then becomes possible to emanate a level of soulfulness in communications that people crave, which unlocks hidden energy and vitality on the brand field. This is an example of a deep campaign, which is covered in greater depth in Soulful Branding – Unlock the Hidden Energy In Your Company and Brand. Deep campaigns such as Just Do It are, not easy to achieve, but absolutely worth striving for. They have certain uplifting and inspiring qualities that can also energize the internal culture of a company. Other examples of deep campaigns can be found inside of ‘Soulful Branding.’ Here is one of the first Just Do It ads featuring Walt Stack that launched the campaign back in the spring of 1988. It demonstrates that a deep campaign presents a brand positioning platform that can be interpreted and renewed over decades. Prior to Just Do It, Nike was a struggling niche national brand. After the launch of Just Do It, Nike brand sales were rejuvenated, increasing 1,000% over the next ten years. And Nike truly stepped into its role as one of the world’s premiere iconic and soulful brands. As for comparisons, marketers may look on this and declare it’s not quite as interesting as the iconic Think Different Campaign (in terms of the human drama surrounding working with Steve Jobs) but it’s perhaps more revealing in other important ways. This preceded ‘Think Different’ by ten years…and I’m sure it inspired Steve Jobs to think about what might be possible with a brand campaign when he returned to Apple. The insight into how to triangulate ones brand purpose is unique. No one has written about this to my knowledge before. And the linking of a clear purpose to a deep, soulful communications platform is why this particular ‘deep campaign’ concept is worthy of study. Ironically, when Dan Wieden was asked about what inspired him to come up with the tagline, Just Do It…none of this backstory is present. Instead, he took inspiration from the last words of a convicted murderer, Gary Gilmore, who said “Let’s Do It”. However, Dan Wieden was good at tapping into the vibe at Nike and using his imagination to put an incredible campaign together. And of course people know that part of the story. 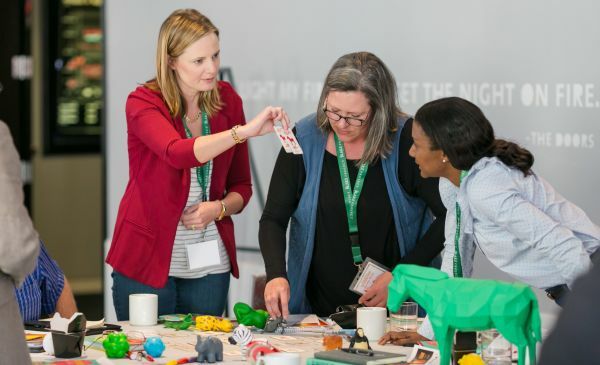 Rarely does an Agency perspective not only append to, but AMPLIFY the values ‘manifesto’ of a firm — and in the process, create a brand catalyst that drove millions to work toward something bigger than themselves. W+K & Phil Knight could not have possibly known that a tagline would tap into the consciousness of a movement — fitness — and then become a broader rallying cry for all things demanding determination. But it did; it was successful because of both the discipline and the vision that went into formulating the mantra. I want to believe that in doing so, they were taking into account the array of diversity “Just do it.” would inspire. Wish this soul-searching could happen more frequently in today’s marketing. Always wondered how this iconic line came into being. Especially love the pragmatism behind the remark that deep campaigns like these aren’t easy to achieve, but absolutely worth striving for. A lot of folks unfortunately aren’t thinking this way today. Thanks for sharing this story! Also a W + K campaign, conceived by Jim Riswold, it debuted at the 1989 MLB All-Star Game. Bo Jackson, who had never batted leadoff, ripped a Jim Reuschel sinker more than 420 feet into the centerfield stands. During the next commercial break,the ad introduced specially-designed cross-training sneakers, aired for the first time. Nike was #2 to Reebok at the time, but sales of Nike cross-trainers took off and Nike launched into the world’s most successful sneaker corporation. Not only that, but the campaign was spoofed/referenced by fans holding up homemade signs at MLB ballparks and NFL football stadiums around the country whenever the Royals or Raiders were playing, so Nike got all kinds of free publicity in the stands and on TV. The convergence of a multisport star athlete hitting a monster home run to lead off the All-Star Game, just before the Nike commercial debuted may never be replicated. And, it’s worth noting that Bo Jackson is still the only human being to have played in both the All-Star Game and the Pro Bowl. That feat may never happen again. Anybody interested to know more about the campaign should watch the ESPN 30/30 program about Bo Jackson. It was a pleasure to have been a part of Nike in Italy (1991-1997) and I can say that “Just do It” has became my life claim with “Never give up”, both.